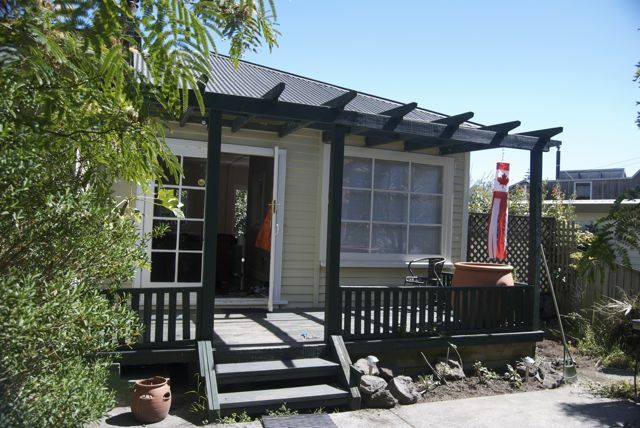 So far we have not posted pictures of our little house we rented for our stay in Christchurch. Here are some pics for you. A view from our drive way, up the walk. This is from the summer – February I think. Sarah’s mom Doreen came for a visit and wanted a picture of the yard before she left. 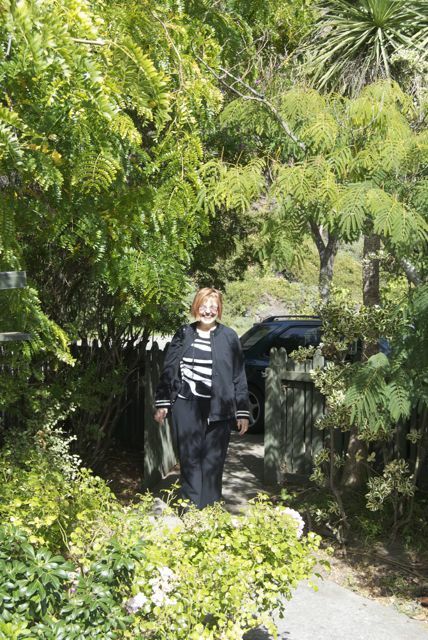 I think this is just before we drive her to the airport at the end of her visit. Jack had a sleep over with some friends. 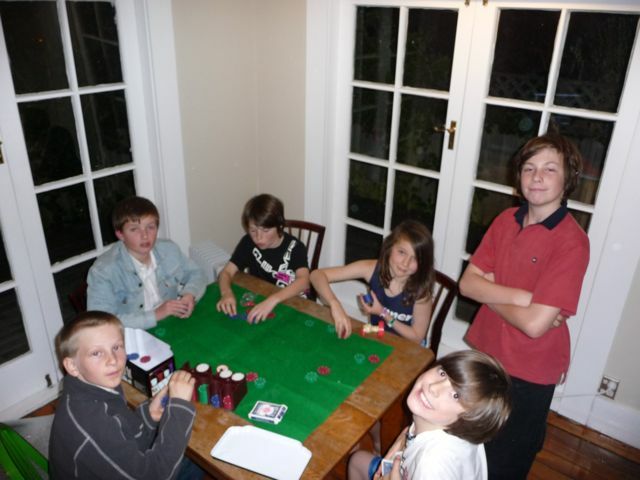 Gideon brought the chips and cards as they had an interesting game of Texas Hold’em. Two of them did not know how to play, so it was a short game… This picture is to show you how big the dining area is. 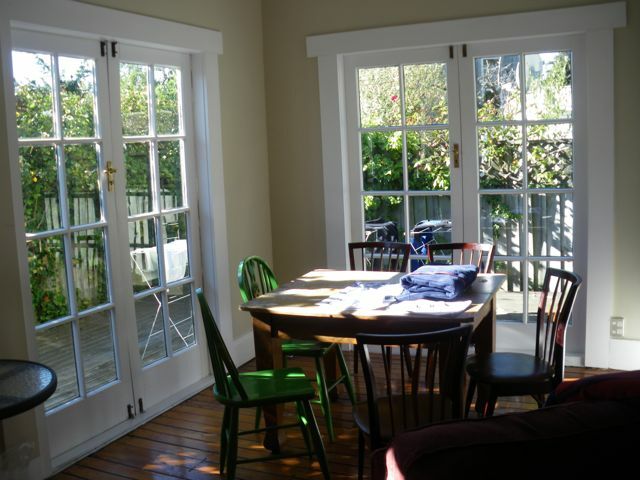 The dining area with two sets of patio doors. There are two more sets of patio doors in the room just beside the dining area (just to the right in this picture) On a nice sunny day this makes a great place to sit and read a book. This is a view from the front door. 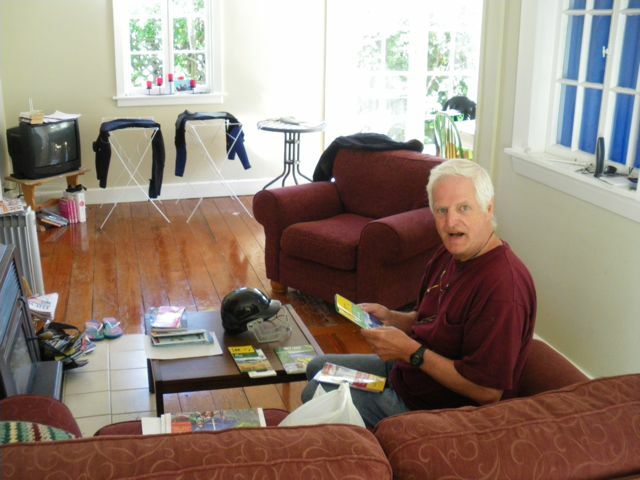 This is Sarah’s uncle John when he and Beth came for a visit. It was great to see them again. 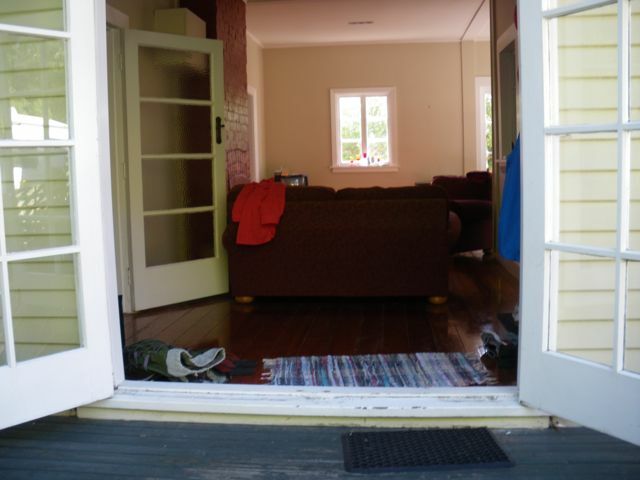 This is taken from just inside the front door. Another view of the front again, this is from just inside the gate. From the porch looking in. The kitchen and bathroom is just off to the left. 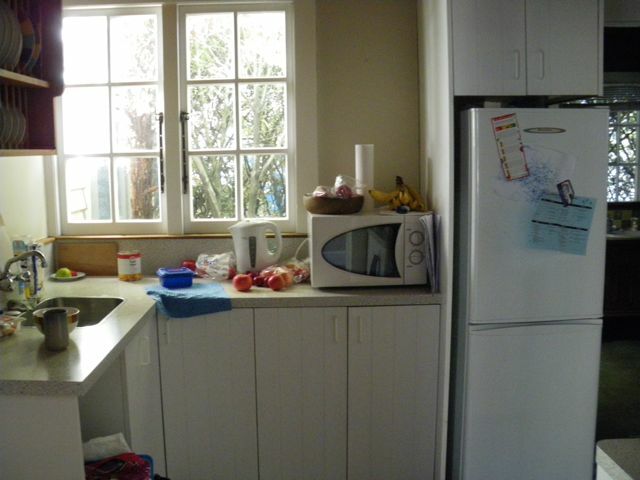 And the small kitchen. Bathroom is just to the right, past the fridge. The master bedroom is to the right of the kitchen. 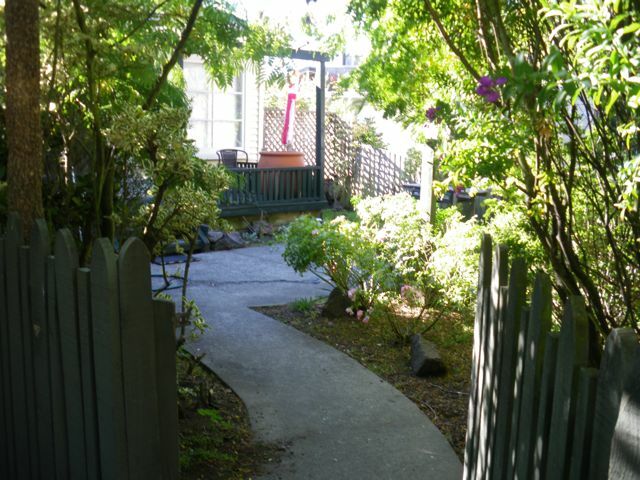 A shot from the front door looking to the yard. 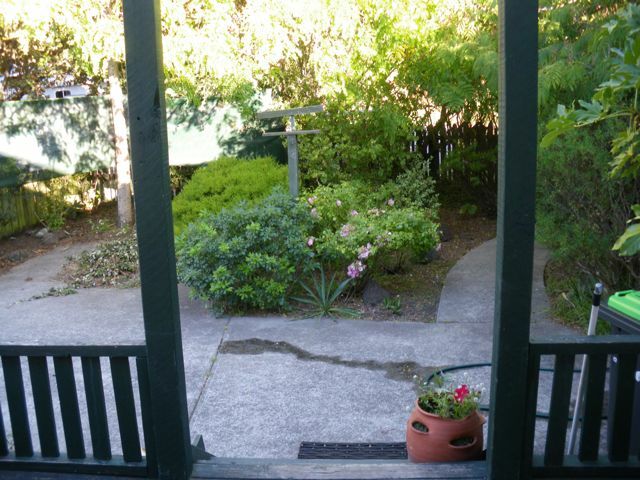 This is the back yard, outside the patio doors of the dining room. 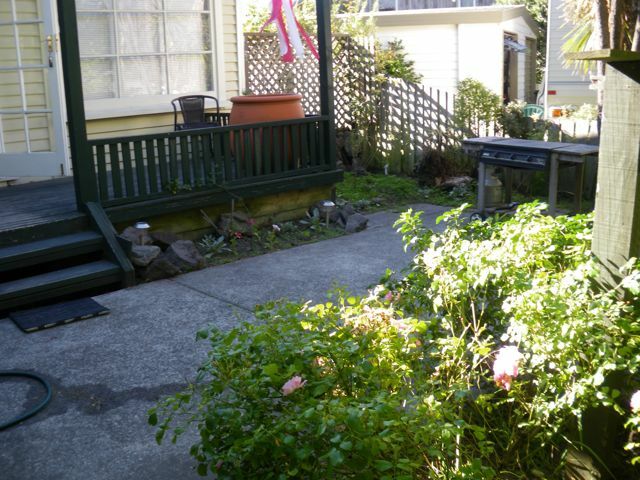 The back and side yard is all just a porch. The neighbours are right on the other side of the fence. The lot where this house is used to be a big lot, and it got subdivided into a few smaller lots. 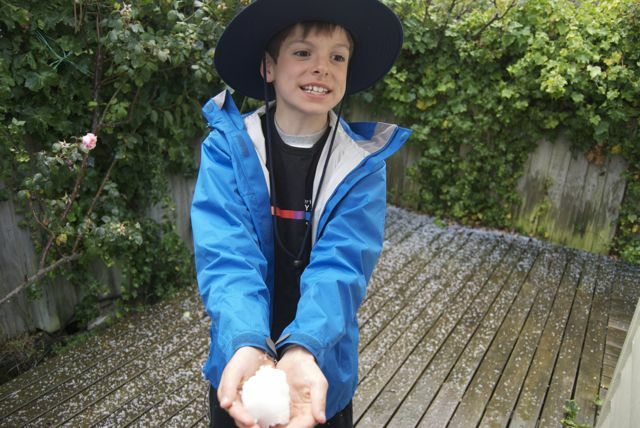 Will made a “snow ball” from the hail we got in March. A view from the side walk. 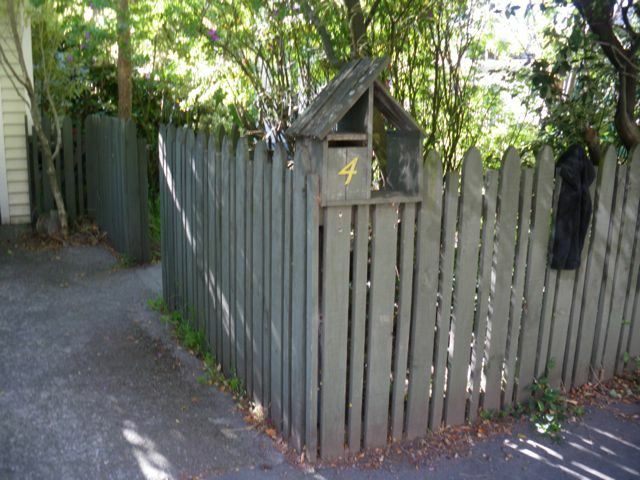 The mailbox. Here is a view from above. Our house is at the bottom left of the screen. (The one with the green car in the driveway.) Notice how close it was to the beach. 🙂 Just to the right of the clock tower is a beach café where we had many great lunches and I had coffee breaks from work. 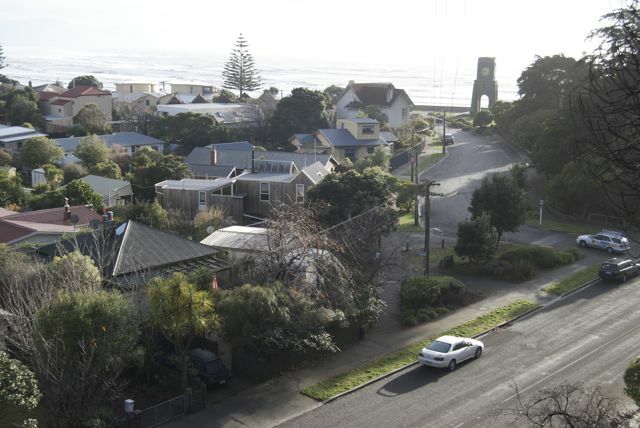 Also check out how close the back neighbour’s house really is! The house, appropriately with the Canadian flag windsock.